Do you work for FileZilla? "Manage the files of your ftp servers easily"
Its interface is basic, it has very good options to manage my files directly from my web servers, it has import and export options which I consider to be very useful to be able to backup my data, in addition the connection to the servers is quick and easy. would like to have more options for editing files, plus something I have noticed is that sometimes incomplete files can upload which can be very bad for the web page or the file I am editing. Keep in mind that this software is very good for the administration of ftp servers, but it depends a lot on the quality of the internet connection to be able to work as it should. In my work this tool is very helpful since I do not have to learn commands to be able to copy or move files from the command console, it also helps me to be able to edit the files directly. "Filezilla. Un cliente FTP que funciona. Y muy bien!!" Lo que más me gusta de Filezilla es que se trata de un software gratuito, de muy poco peso para tu disco duro y con una interfaz muy intuitiva, que te permite ver el estado del servidor y de tu pc, y simplemente arrastrando archivos con el ratón de un lado a otro podrás subir o descargar datos. Es muy fácil trabajar con Filezilla para realizar las labores de mantenimiento de nuestro sitio FTP. Apenas consume recursos de nuestra máquina. Otro punto fuerte de Filezilla es la posibilidad de cifrar todas las transferencias que vayamos a realizar con sistemas complejos de seguridad para aumentar la seguridad de nuestros datos y conexiones. La transferencia de archivos entre cliente y servidor a veces se hace demasiado lenta y falta información sobre el estado de las transferencias, pues te da una barra de estado pero archivo a archivo. No te da una barra del estado del trabajo completo. La interfaz es muy intuitiva, pero no quiere decir eso que sea agradable a la vista, pues tiene un aspecto old-school que puede parecer desfasado. Si estás buscando una buena aplicación para estar conectado con tu sitio ftp y realizar modificaciones y otras labores de mantenimiento y actualización, FTP Filezilla debe ser tenida en cuenta por su facilidad de uso, precio y la gran seguridad de conexión que nos ofrece. Notros lo utilizamos para subir información a nuestra página web, y se lo enseñamos a los clientes como una herramienta de mantenimiento efectiva y barata, al ser completamente gratuita. "Easily manage your files from your web servers"
It is a very light software with easy-to-use interface, it allows me to manage all my ftp files on my servers, it has a tool to move, copy and delete elements without the need for a command console, something I like about Filezilla is that I can Export and import my websites easily. The transfer of files is very slow, I would also like to have the option of being able to directly manipulate compressed files, I have also had problems connecting to some servers. This is a good software very easy to use and very popular since it is always in constant update, I recommend it since you do not need to have much knowledge to be able to configure it in the best way. In my work this is an indispensable tool because with it I can manage different websites, I can upload and download files to edit it quickly and easily. "Safely transfer files to your sites with Filezilla." The possibility of accessing and configuring our servers to Filezilla is surprising, its ease in managing documents takes the best advantage of each developer. In its free version it has a wide category and functions to improve your experience when performing any action with your website. Its connection and transfer speed and it is worth mentioning as it can often have a fault during the connection and this is resumed immediately and the transfer failures can be resumed without any inconvenience. Filezilla is a free and easy to use tool. I have spent time using and deploying this application in my area of ​​work and the results with success. The constant warning to make change is a utility that has no discussion, for many we like that the application has the interaction of alerting you if the modification you make is correct and if you are sure to do it, because each content that you are uploading is of vital development for your organization. If you are looking for a good tool to stay connected to your site and make changes without problems or have dependence on other applications, Filezilla is the right decision, easy to use and very stable to connect, transfer, edit, extract any information from your site, the speed of transfer and its easy handling achieves the objectives that you have thinking about achieving. We went from managing our webs via the cms that our hosting provider gives us, with Filezilla we avoid the error of blocking the user with improper access since we configure our site and establish a secure connection in our application to achieve any modification or extraction of content. Our sites are better handled with this tool and thus we achieve an optimal functioning, the updates in Filezilla every time show that they listen to the requests of their community and manage to adapt to our needs. I've tried a few different FTP programs over the years and by far, this is the best one (mainly because it's free)! It's easy to connect (as long as you have the right information for connection) and the layout is very simple to understand. I do like that without fail, this program works every time for me. It would be helpful if the local/remote folder labeling design was clearer. When I've had colleagues install Filezilla to their computers, a lot of them don't quite understand the difference between the two. Also, the synchronization feature could be explained a little better on how it works. I spend a lot of time connecting to my clients' websites via FTP. Most of the editing softwares within cPanel are terrrrrrrible and I dislike working directly from there. I prefer editing in my preferred software (like sublime text 3) and Filezilla allows me to do just that! "Full FTP client with tons of features"
I have been using Filezilla for years now because I have to modify many websites that I access from FTP, with this application I have a desktop interface so I can do everything faster with just a few clicks. Thanks to this application I can edit files remotely from my computer. Filezilla has an integrated file browser that allows you to access all the FTP server directories, in addition to changing their permissions (as long as you are an administrator), you can also perform tasks such as deletion, rename the file as if you were working locally. Another feature that I found very useful was to save users and check the sites in our personal bookmark and also we can double click on the item to automatically connect to that FTP server and access their files. The file browser is a bit slow, every time you access a directory you have a delay of 1 or 2 seconds for the directory to load completely, if it is too long it may take longer. Editing files can also be slow since Filezilla internally downloads a copy of the file that you edit locally and then overwrites it on the FTP server. This could not be the fault of Filezilla, but the limitations of the FTP protocol. I recommend you to use this application if you need to access different FTP servers continuously or simultaneously for work or personal reasons, especially if you have to choose between doing it in a console or with a UI, you will make better use of time using Filezilla, which is also free. As a web designer, I must access many websites daily and thanks to the Filezilla bookmarks I can access them quickly and even simultaneously to edit what is necessary. Thanks to your browser I can also make my work faster and take better advantage of working time. "It is the perfect and free choice to transfer files via FTP." It has constant updates and this is a remarkable advance as they improve their functions and correct failures. It has advanced tools for expert users. It is totally free. It is not safe when saving passwords, since they are stored in an xml file and theoretically anyone can access it. It is my favorite software to upload files to my remote server. It is very light and I like the design in two panels, since I can drag and drop files without many complications. In my work it is the software par excellence for everything related to FTP. We take care of making changes to the website on a daily basis and FileZilla has made our work much easier. It is very easy to use and configure, it also has support with Windows and MacOS and that's why it has adapted perfectly to my company. This software is a great answer if you require an FTP server to exchange files comfortably. It supports in addition to FTP, SFTP, FTP over SSL / TLS and other file transfer protocols used. 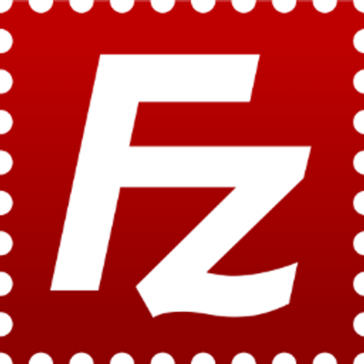 FileZilla has a GNU license for which it is Opensource and free, but it has unique features, it can configure the transfer speed, it is easy to install and has a fairly clear and precise interface. It is very simple to use because it has the drag and drop system. The interface can be overloaded and has many tabs with many features that can overwhelm the user. The use of FileZilla bandwidth is not optimal, you should always configure it for a better experience. I would like you to adjust the link according to the requirement. Consider FTP to manage your web servers, it is very useful to upload files with this client because it is fast and efficient, besides very easy to use. As it is OpenSource you have a good user community that is very willing to solve any problem. You can even make backups if you need them. I recommend it completely. With FileZilla I can download files from the internal server of the company for a fast transfer. It is also very useful in case of uploading documents to Apache web servers. With FileZilla we can share files quickly since it is not necessary to login with the user. Easy layout with the proper windows being displayed. Easy to upload and download files. There are constant updates for security and performance. It auto-checks for updates when you open it and the updates are extremely quick to download and install. If this had a cost, I'm pretty sure I pay to use it. That's how much I like it. Although the connect and disconnect icons at the to are easy to understand, the others aren't. Once uploaded I don't believe you can unzip through FileZilla. If you can remote unzip, I haven't figured it out yet! Free would be the most important- so why not try it out! FileZilla is easy to use Just move files from window to window to upload or download them. It's been around for as long as I can remember. We use FTP all the time when building websites for clients as well as diagnosing hacked and broken websites. We can easily download or change the folder name if we feel the need to. "Manage the files of your servers using ftp"
It is an excellent FTP client with which I can manage files from my hosting, with filezilla I do not have to learn difficult commands to access my server, since it has an interface where I can add my sites and connect to them with just a few clicks. Filezilla has a very useful option that allows me to export and import my sites and configurations. Sometimes there are many problems with the connection to the servers, since it requires additional configurations to be able to connect correctly, besides that the file downloads can be a bit slow. It is one of the most popular FTP tools, it has excellent features and is always constantly updated. This tool allows me to edit files on my server quickly and easily, with it I can work on the development of websites and save changes directly in my hosting. Lo mejor de filezilla es que es muy eficiente. Muy intuitivo y fácil de usar. Es software libre, con lo cual una gran cantidad de usuarios trabaja en el mismo para mejorarlo día a dia. Filezilla es de aspecto viejuno. Debe mejorarse su interfaz de usuario para adaptarla a los tiempos actuales. Filezilla es liviao, fácil de instalar y manejar. Te ayudará en tus comunicaciones entre cliente y servidor mediante protocolo FTP. Además es código abierto. Utilizamos Filezilla para realizar conexiones clientes a servidor por protocolo FTP totalmente seguras. Gracias a Filezilla podemos subir archivos a nuestra página web con la mayor seguridad y cifrado en todas nuestras conexiones. Además como es gratuito, no afecta a nuestros presupuestos departamentales. "Open Source software so it has been audited by the community and can be trusted"
I like that FileZilla is open source, so the full source code is easily available, and can be contributed to by any developer. This means that the software has essentially been audited for backdoors and security breaches, so I am confident my credentials remain private. The interface could perhaps have some animations and graphical pleasantry added, but then this would detract from its simplicity. I use FileZilla to connect to company servers and clients' servers via S.S.H. and F.T.P. I am able to securely connect quickly, and transfer files onto the server, which is called an upload. It is able to resume large files, which is a feature I frequently use when we are having internet problems. I benefit from being able to resume a file as it takes less time than starting the upload from the beginning. "Transfers files to and from a FTP server"
I like that I can transfer files in either direction with FileZilla, and if there are a lot of files, it puts them in a 'queue' and I can just leave it in the background transferring. I would like to see thumbnail views of the documents before transferring them, but perhaps that isn't possible with FTP. We use FileZilla to send and receive files from our remote document archive storage office. It is a little like a shared folder, but on 'FTP.' We use FileZilla and we can do transfers that can go in either direction. You pick the folder or files you want to transfer, and drag and drop, and it will start the transfer. It is really helpful as the alternative would be having to bring USB sticks or physical files to and from that office. Es gratuito de código abierto y licencia pública GNU. Está disponible para gran cantidad de idiomas y distintos sistemas operativos. Fácil de instalar y de configurar, por lo que rápidamente podremos empezar a compartir archivos. Me resultó muy sencillo empezar a utilizarlo, ya que tiene un interfaz muy parecida a la del Explorador de Windows, y nos muestra las carpetas de nuestro pc y las remotas, con lo que podemos enviar o recibir archivos simplemente arrastrandolos a la carpeta correspondiente. También posee un administrador de servidores FTP con el que podemos guardar las direcciones que utilicemos con mayor frecuencia y así no tener que poner todos los datos cada vez que lo vamos a utilizar. Soporta conexiones a través Proxy y Firewall por lo que no hay problemas para utilizarlo con el antivirus o los cortafuegos que tengamos activados en nuestra red. Permite continuar descargas interrumpidas, si el servidor lo soporta y podemos poner los archivos que necesitamos subir o descargar en cola. Soporta conexiones SSL y SFTP. También se puede configurar la velocidad de transferencia de archivos. Hasta el momento no tengo nada negativo que exponer y más cuando es una aplicación gratuita, muy completa, estable y sencilla de utilizar. Sería bueno tener un foro en español donde existiera la posibilidad de poder compartir la experiencia en la utilización del programa con el fin de poder mejorarlo y así beneficiar a toda la comunidad de usuarios. Me resulta muy útil cuando tengo que actualizar la web o realizar labores de mantenimiento en wordpress. También es muy útil para subir o descargar archivos desde el servidor interno de la empresa. "Upload files to FTP easily"
If you manage websites and you need Ftp Access this is your software. It is a free and easy to use app and in my opinion the best in the market. This software helps me to connect to web provider to manage my ftp server. "Manage your websites in a simple way"
It has a very intuitive graphical interface, it also allows me to drag and drop files, I can save my sites for quick access, filezilla facilitates the administration of my web servers because it supports multiple protocols for transferring SSH files (SFTP). The only negative thing I see about this software is that it does not allow downloads or file uploads in parallel, they must be done one by one. It is a tool that facilitates the process of managing servers and websites, I recommend it since it has a fairly good free version. Filezilla is a very useful tool for me because it allows me to connect remotely to my servers, with the I can edit, delete and move files very easily and without having to be all day in a command console. Filezilla es un programa gratuito disponible desde la página oficial para su descarga y posterior instalación en cualquier pc pues es compatible con la amplia mayoría de sistemas operativos disponibles en el mercado a día de hoy. Con este software podrás conectar con un ordenador servidor para añadir o descargar archivos de forma segura. Su interfaz es intuitiva y sencilla. Todo me gusta de filezilla, nunca una conexión FTP fue tan fácil de usar. Así que no puedo añadir nada malo en este apartado. Muy recomendable para transferencias FTP entre cliente y servidor totalmente gratis y muy fácil de manejar. Filezilla se utiliza para conectar con el servidor web donde alojamos la página para editarla y publicar online noticias, actualizaciones y otros menesteres. Gracias a que es gratuito no nos revierte de forma negativa en los presupuestos de la corporación. Estamos encantados con este software. "Application to transfer files via FTP easy to use"
It is very easy to connect and interact with the structures of file systems. The graphical interface simplifies the location and visualization of the necessary files. The transfer of files is fast and if there is a problem with any file, the system notifies you which files could not be copied. You can connect several remote computers simultaneously and visualize their equipment during the same session. The files can be passed from one folder to another just by dragging the indicated file to the folder they want to be the new destination. You can download the files if you wish to have a backup on your local computer, and that you can easily recover at any time. I would like that the files could be edited directly from the application, without needing to open them in another application. Since sometimes we do not want to store those files on our local computer, we just want to modify them on our remote computer. If you are looking for an application to help you and simplify the task of managing, editing, creating or deleting files on servers or remote computers is one of the best options that can be found, since its interface is very intuitive and does not require advanced computer skills. to be able to use it. "Smooth transfers to and from our web host"
FileZilla is very intuitive and easy to use once you set up your connections. You can just click on a site bookmark and connect to your web host in a specific folder right away. We can either select the file in FileZilla's file browser to upload or drag and drop files from our computer's file browser. Very fast and reliable. It may be tricky for some people to get their connections set up. Knowing where to enter FTP info could be more clear for people that aren't familiar with FTP clients. There are times when the web address doesn't work for no apparent reason and we'll have to resort to using an IP address. I recommend talking with your web host to get all the required FTP connection details before trying to connect with FileZilla. It might save you some time and headaches, because I've tried connected before with the FTP info shown in my hosting account, but it just didn't work. My web hosting's support team was able to send me the correct info. File transfers are made easy with FileZilla. We don't have to log into our web hosting account to transfer files. We can quickly update web images and other website content by just connecting via FileZilla and uploading through there. "FileZilla es un gran programa para transferir archivos"
Filezilla es una herramienta fácil de usar para agregar archivos a cualquier servidor al que tenga acceso. Ha sido muy útil al subir cientos de fotos. También lo usamos cuando los clientes tienen varios archivos que deben cargarse en su sitio para migrar el sitio o simplemente realizar actualizaciones masivas. Algunas veces me desconecto de los servidores y los archivos no se procesan. Este problema no es necesariamente un problema de Filezilla; es muy posible que la desconexión sea el resultado de mi red. Recomiendo usar este producto porque es fácil de usar, tiene una interfaz intuitiva y simple, también permite transferir archivos grandes entre máquinas de la misma red, ideal cuando se trabaja con servidores. También desde la interfaz se permite la copia de un archivo simplemente arrastrando al sitio de destino, ya sea la computadora local o la computadora de destino. Forma rápida de transferir archivos masivos. Puedo configurarlo y olvidarlo. Es genial tener una herramienta para transferir archivos a servidores rápidamente. Puedo iniciar la transferencia y dejar que lo haga. Si algo no se transfiere, Filezila me da una lista y solo los vuelvo a intentar. Puedes conectarte a tus servidores a través del puerto que se desea simplemente con la dirección IP, el nombre de usuario, contraseña y puerto, es muy bueno y eficaz, además, puedes crear varias cuentas de usuario para acceder directamente al servidor simplemente dando un click. A veces no accede al servidor y da fallos, además la aplicación es bastante molesto cuando la actualizan ya que es actualizada continuamente y cada vez que abres la aplicación muestra un menú bastante molesto. No se pueden automatizar procesos y la mayoría de servidores ftp disponen de muy poca capacidad para encriptar archivos de origen a destino. Recomiendo descargarlo y probarlo ya que es gratuito, si no conoces muy bien como utilizar la aplicación, deberías de ver tutoriales o guías para como iniciar en el mundo de transferencias de archivos a través de FTP. Gracias a Filezilla puedo realizar transferencias masivas de archivos a mis servidores, es muy rápido y directo, además, me ha permitido reanudar descargas previas de archivos, si envías por el puerto 22 te aseguras de que la conexión es segura. "FileZilla, el cliente lider FTP de código abierto"
FileZilla es un cliente FTP que permite usar dicho protocolo para la administración de sitios web. Es muy fácil de configurar e instalar. Tan solo debes obtener los datos del servidor al que te quieras conectar, añadirlo a FileZilla y listo, podrás acceder al sitio que estés gestionando de una manera sencilla y rápida. Soporta el protocolo FTPS, el cual es una mejora del protocolo FTP que permite conectarse de manera segura sobre TLS. Te permite arrastrar cualquier archivo que tengas almacenado en tu equipo local al servidor de destino, editar los archivos del servidor sin tener que preocuparte de volver a subir las modificaciones. Me gusta todo de FIleZilla excepto la interfaz, pues es muy simple y la manera en que gestiona el ancho de banda por defecto. Si no lo configuras y tienes una conexión lenta, es posible que al final acabes sin conexión, puesto que por defecto FIleZilla usa todo el ancho de banda disponible. FileZilla es el cliente FTP líder del mercado, y lo mejor de todo es que es totalmente gratuito y de código abierto. Para cualquier proyecto que montes, ya sea amateur o profesional, es prácticamente indispensable usar este software, pues tienes todo el soporte de sus creadores. En definitiva, puedes usar otros clientes, pero este sin duda es el mejor. FileZilla es genial para gestionar nuestro sitio web, el cual corre bajo un servidor Linux. La conexión la realizamos con FTP sobre TLS, el cual implica una conexión rápida y segura en nuestros servidores. En mi opinión la mejor solución para Servidor o cliente FTP actualmente, es muy sencillo de aprender a usar y de configurar. Solo necesitas descargarlo de forma gratuita de la página oficial. Hacer la instalación por pasos que es muy sencilla, y una vez instalado y compruebe automáticamente que no hay actualizaciones solo debes añadir un nuevo sitio donde tienes que configurar la dirección IP o nombre y los datos de acceso al mismo. También permite conexiones por FTP seguro (FTPS, ya que no admite SFTP). Por lo demás una vez has conectado al sitio correspondiente (Puedes configurar varios), solo tienes que utilizar el explorador que lleva en la parte inferior para moverte en local (Izquierda) y el sitio remoto (Derecha) y arrastrar archivos o carpetas para moverlos de una ubicación a otra. la interfaz se puede mejorar mucho, es un poco simple y esta muy recarga la parte de los menús, por lo demás es una herramienta muy versátil y potente. es el medio utilizado para subir y bajar archivos desde las carpetas FTP compartidas por los departamentos de la organización. También los utilizan los diseñadores y programadores web para realizar cambios en las webs de la empresa. "One of My First FTP clients"
Filezilla is simple and straight forward.. I've used a much older file transfer back then but this has a nice simple interface. I've used this application for years for general use of file transfer, so I don't believe I have used any other advanced features that this application may have. Other features are that you can do with this that is useful is to save server information. This is important and efficient for those who don't remember or don't want to type in credentials each time. Another nice thing is that the navigation system on one has a tree hierarchy. Clicking on the directories from the tree hierarchy, will open up the list of files on the pane below it. This is useful, having the dual visual, rather than having to get into the folder, and losing the visual of where you are in the hierarchy. In addition, you can see your local files on the left, and server files on the right. So you can easily and conveniently drag and drop, or double click to transfer one to the other... instead of having to open a separate file directory application and transferring over. Another useful feature is being able to choose a default file editor, instead of any native application text editor. Usually the built in editors aren't that advanced or even color coded, so using your own is great. It will open right up automatically when you click to edit. - Keeping yourself logged in for awhile (instead of being logged out too soon). - There's also log messages to help you know of the connect status when you initially connect, or any file transfer errors. One of the slight things that could be made better is the navigation system for files. At least the prior versions, whenever I upload things, it seems to refresh repeatedly and it is harder to view where we left off or multitask. However this may be universal with other file clients. If you're looking for a simple file transfer tool, this is pretty good. Just general transferring files quickly with a GUI, (seeing a visual), if I don't want to use SSH. "Easily manage your ftp sites"
Filezilla is a very useful tool when it comes to managing files on my servers, I can move, edit and delete files, I can also add and delete permissions, what I like most about filezilla is that it is easy to configure and its interface is very simple and intuitive. I would like to be able to unzip and compress files from Filezilla, and also something I do not like is that the download of files is always slow. If you are a web master this is a tool that you should not miss, I recommend it. With filezilla I can work more comfortably because I can edit files directly. We save a lot of time, since it allows me to save my sites to access them more quickly. "Connects to our web server so we can manually upload assets"
We can use FileZilla to connect to our web server so we can manually upload assets, like large MP3 file downloads, to our web site. It functions fine and does the task I want it to do, which is to upload files, so I have nothing negative to say about FileZilla. It is a freeware program. We use FileZilla so we are able to manually connect to our web site's web server, and upload large files. Sometimes we have long podcast MP3 files that are too big to be uploaded via WordPress, so we use FileZilla to send the files over SSH protocol. It is easy to use and gives an estimate of how long left there is to transfer a file to our server. "Send scanned documents from the new office"
It is easy to use FileZilla. You open a bookmark, connect to the server, and then drag folders in to send, or drag folders out to receive. There is nothing to dislike about FileZilla. It works fine and saves us time. FileZilla costs $0, it is free. We have a second office in the valley that is quite a long driving distance from the main office. We scan documents there (it is an archive) and send them to the main office with FileZilla. You can also pick up files the other direction. It has saved us a lot of time driving back and forward, and we can process onboarding much faster as it takes minutes instead of waiting for someone to drive the papers over. "Manage your websites in an easy way"
With Filezilla I do not need to remember addresses or access codes to manage my web servers, since it has a very simple and easy to use interface, it allows me to save my sites for easy access, I can also edit, download and upload files to my server very easily. The only bad thing about this software is that it tends to make server connections slower, downloads and uploads may be slower than normal. I recommend it because it is very useful for ftp servers, and because it also has a very complete free version that offers excellent benefits. In my case Filezilla is very useful since I can manage content from my sites easily, with it I can avoid many tedious processes. Filezilla is cheap and offers the ability to access our remote servers without the use of our hosting provider or using GIT commands. It makes changing and uploading small files easy. It's basic, what i dislike is that it doesn't allow you to stay connected longer than 15 mins at a time, as it prompts you to log in each time 15 mins passes by. If you are not comfortable with using GIT to access your server, Filezilla is a friendly free alternative! With Filezilla, we are able to make small changes and introduce our junior developers to the idea of GIT and what happens in the background through FTP. We are also able to make small changes such as images without having to access our IDE to do it. "Free of charge, and supports FTP and SFTP"
I like that I am able to use both FTP and SFTP, and also that failed requests can be resumed from where they left off. This is very important for large files as there can often be a few interruptions in transmission. I would like to add folders into the bookmarks list, but it is fine. FileZilla is free of charge. I deal with many clients around the world and manage their print production requirements. As part of this role, I have to organise sending large artwork files both to customers and to print production facilities. Sometimes these can be as big as 4GB. I use FileZilla to send these files over SFTP and FTP and it has always worked perfectly. "The Best FTP Client I Have Found So Far"
The FTP client is simple to use and works well. There are numerous features that I use often, as well as plenty more that I have never even had a chance to try yet!I really like the ability to select how each upload is handle independently, I usually leave this feature on so that I can control how the uploads are handled independently. This is extremely useful for projects in which I might want to upload new files without overwriting any of the old files. The update seems frequent and each time it leaves a downloaded version of the software on my computer. It would be nice if they were able to have the software update a bit more intuitively, less frequently, or more dynamically/automatically. There isn't really anything that I have found I dislike about this program that can't be adjusted or corrected by adjusting the settings. We have found this to be the best FTP client to use, and is likely rated the best in the industry. We use FileZilla to transfer files onto our server for eLearning content. We frequently need to update this content due to request from SMEs, or changes in policy or procedures. Using this software helps us make that quick and easy. I wish that the adjustable windows had a way to lock them into adjusting together, as this is not the default setting, but I would not be surprised that it is possible somewhere in the copious amount of features in the settings. "FileZilla does everything I need." I like how easy FileZilla is to use. Simply open it up, enter your ftp credentials, and hit connect. That's all there is to it. It's easy to navigate and customize your views as well. I really like the fact that it doesn't cost anything to use, and is available on all systems, Mac, PC, and Linux. I don't like the fact that I have to tell it to do certain things every single time, like overwrite files if I'm uploading. But that's probably better so I can make sure I'm not overwriting files that shouldn't be. The only other thing I don't like, is that if it gives an error on connecting, I'm not always able to tell what the error actually means. If you're looking for the easiest to use, and least confusing option for an ftp management program, FileZilla is you're best choice. FileZilla makes it easy for me to connect remotely to the file servers of the websites I'm working on. It's also fast and easy to use. I use it in my business every day. "Best FTP/SFTP App for Linux and OSX"
It's just simple to drag and drop files from a remote location to your local disk and vice versa. Great UI and transfer files very quick. The other thing that I like in FileZilla is the posibility to use the App in Linux and OSX. It's also available for Windows users. I don't dislike nothing. It's very clear and simple and it's very customizable. You can feel that it's draining your internet connection, but you can configure the bandwidth. Years ago when I tried to use the App and I was transfer files the App frozes occasionally, today the App looks very solid. Just try to use all the options that the software provides. I usually use FileZilla to transfer security files with SFTP. When i need to transfer files to a remote location that's something that always FileZilla helps me to do it. There are users that are not familiar with CLI, so for them it's very useful to use an App like FileZilla to tranfer files. "A goog FTP client but could improve the UI"
It is safe, fast, fulfills what was promised. It is an FTP client that allows you to save several types of connections to different sites. For beginners it is very useful, multilanguage support. It has many software updates. I consider it to be the best FTP client that exists today. If you are student a teacher or a profesional in Web development you will find Filezilla easy to use. Perfect to teach and perfect to learn. I have been using this software for more than 6 years to manage Web sites. It has undergone improvements over time, but one aspect that could improve a bit more is the graphical interface, the interface to be in 2018 looks outdated, many applications try to be visually attractive. I would like that to see a change in the UI. IIf it is your first time trying to enter in the web development and you do not have a good idea how a ftp works, you will find filezilla perfect for you. Updating websites through FileZilla to pages made in a cms is much faster than updating the files on the website page directly with the document manager that contains the cms. In addition you can upload Wordpress code modifications without problems through this FTP client. Filezilla I use it often with Putty, the two complement each other for the administration of websites that run under a Linux server. Very simple to use, Filezilla is the best software of its kind because it allows you to upload and download files from servers via FTP connection. You can register several websites and export the list to xml for use on other computers. It is the best known and most used software for ftp transfers and there will be a reason, I recommend it to everyone because it's free, easy to use and does its duty, uploading entire websites to servers. I often transfer files on servers or load websites from the local computer to the hosting space purchased, a very simple process with Filezilla. No he encontrado nada malo en FileZilla, hace todo bien y no tiene fallos o cosas que te den la impresión de un mal funcionamiento. La verdad es que todo muy correcto. Descarga obligada para toda persona que trabaje con clientes FTP o servidores que usen este protocolo y necesitamos acceder a ellos. Gratuito, estable y muy sencillo de usar. Ganas en estabilidad en las transferencias FTP, con otros clientes que he usado tenía cortes o las reconexiones no eran tan rápidas, esto no pasa con FileZilla. El coste de licencia es gratuito, perfecto si no puedes invertir mucho. FileZilla nos ofrece una forma fácil de conectar a los servidores FTP que necesitemos. Todo a través de una interfaz simple, donde desde el primer momento vez donde está cada opción y cómo usarla. Tienes la posibilidad de guardar tus conexiones habituales para acceder más rápido a ellas. Funciona bien en todo momento, no muestra errores y es estable en las conexiones. Recibe actualizaciones con frecuencia, por lo cual está constantemente en mejora. Es totalmente gratuito y se puede descargar directamente desde su web. Quizás algunas opciones que he visto en algunos clientes como SmartFTP, pero en ningún caso lo cambiaba por Filezilla. En general no tiene apartados negativos, siendo la experiencia bastante buena en su uso y como digo, sin encontrar problemas reseñables. Muy recomendado, si usas webs o accesos por FTP debes probarlo, es gratuito y mejora en muchos aspectos a otros similares. Lo usamos para el acceso a las webs de la empresa cuando tenemos que transferir ficheros o acceder a datos de los servidores FTP. Tambien para conexiones internas como NAS o discos de acceso por red. El que sea gratuito también nos ha venido bien a la hora de abaratar costes en software.